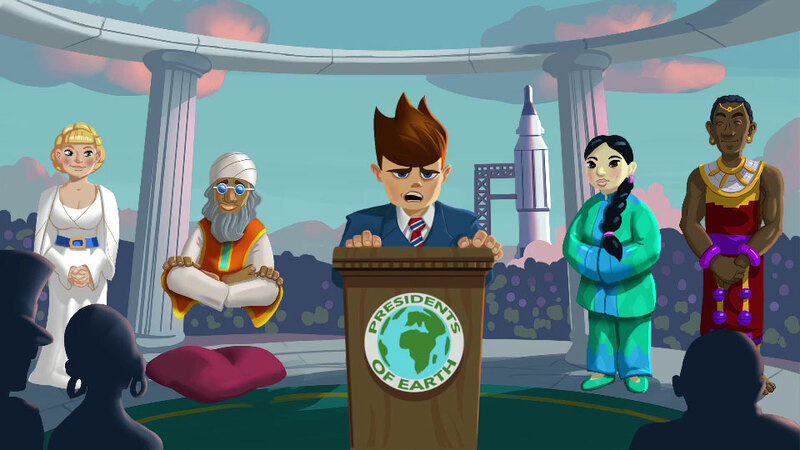 In an attempt to create a better future and a peaceful planet, leaders across the globe have agreed to rid the world of weapons.The plan was to launch all weapons into the far reaches of space. Unfortunately, the ship containing all of Earth’s weapons collided into an asteroid, spilling the contents throughout the solar system for intergalactic space blobs to find. Armed and Gelatinous pits you against your friends in fast-paced couch-competitive multi-player action! Control one of four gelatinous blobs in space, picking up weapon-filled crates jettisoned from a stricken transport vessel. 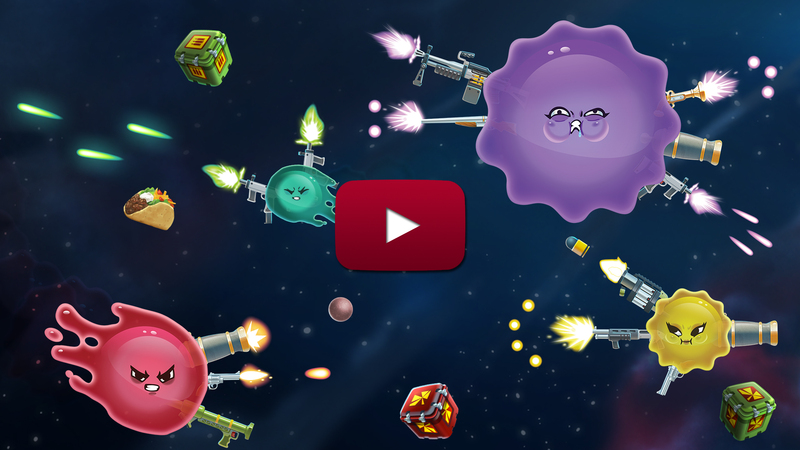 The more weapons absorbed, the bigger (and slower) each blob’s gelatinous body becomes! Customize stock, timed, or deathmatch rounds by selecting specific weapons and items for the match! Coming in 2019 to PC/Mac/Linux, PS4 and Xbox One from Three Flip Studios. In the meantime, check out your local arcade.